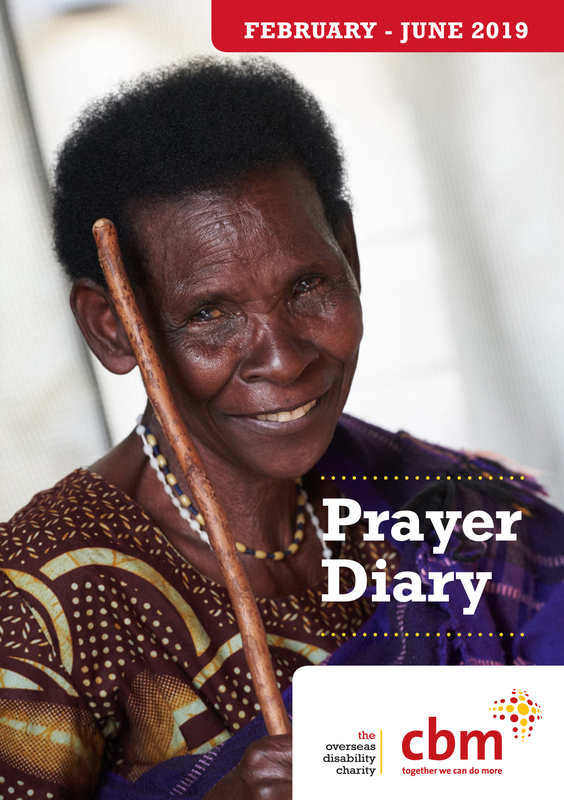 We believe in the power of prayer to transform the lives of people with disability living in the world’s poorest places. Join CBM supporters around the world by sharing a daily moment of prayer with us, using our Prayer Diary. Thanks to your faithful support, we are putting God’s love into action to support the world’s poorest people. We would like to contact you with fundraising messages and updates from the projects we support. If you do NOT want to receive such communications from us by post please contact our Supporter Care team on 01223 484700 or email info@cbmuk.org.uk. By ticking the boxes below you give us consent to contact you by email or telephone. Thank you for your help. CBM UK is committed to protecting your privacy and you can change the way we communicate with you at any time – for more information, see www.cbmuk.org.uk/privacy.